By 2020, Pennsylvania’s 60 and older population is expected to be 25% of the total population. Nearly 75% of those turning 65 will require long term care. 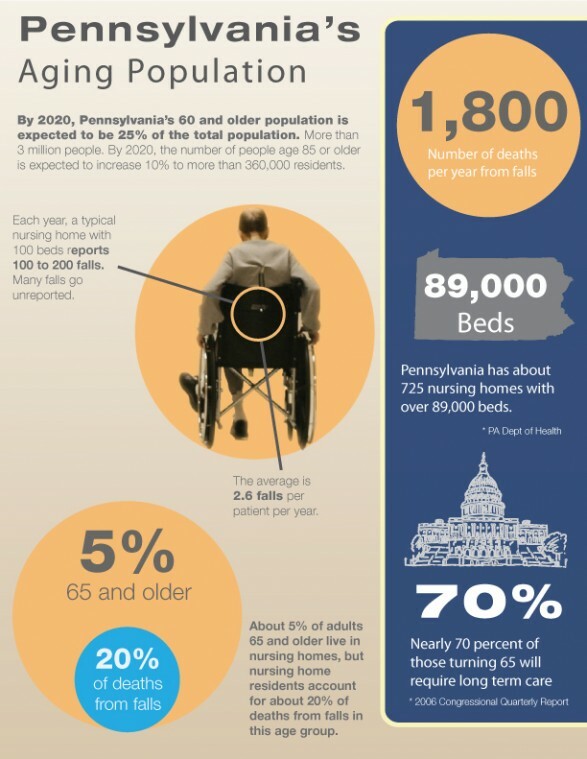 Whether you age in place, move into an assisted living facility or need more care that only a nursing home can provide this infographic from DLP Law shows what the aging population of the Pennsylvania looks like.